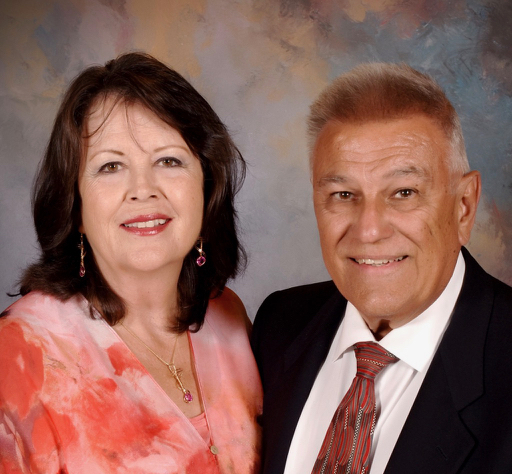 Mike and Sally Aversa have been collectors and antique dealers for over 25 years and have provided professional estate sales and Certified Appraisals throughout all of Southern California for over 20 years! Our commission is taken from the Sale Proceeds, and there are never any upfront fees! Consultation is ALWAYS FREE! All sales, with complete photos, are featured on our Estate Sale website: AversaEstateSales.com. We also feature your higher end items on our retail website AversaAntiques.com, or place them in the proper venue to obtain the best price possible for you. Over the years, Mike & Sally have assisted hundreds of satisfied clients, including; Attorneys, Fiduciaries, Real Estate companies, Trustees, and others. Aversa Estate Service is a Family Owned and Operated business! We are personally onsite for every step of the set up, staging, and pricing. And of course we are present at every estate sale! This is a great big thank you for the wonderful service you provided in administering my aunt’s estate sale in Villa Park. I live in Northern California and when she passed away, as the trustee of her estate, I needed to fly to Orange County to ascertain what needed to be done. It had been some time since I had last been there and forty years of accumulation just overwhelmed me. You and Sally came to the house the same day I got to town and calmly went through the house taking pictures and explaining what the process would. You covered every detail and I left for home a few days later knowing that the house would be cleared out of furnishing via an estate sale and then a clean up crew would come by for anything left that did not sell. You even arranged for someone to “sweep” out the place. You explained the events that would take place leading up to the sale and that the photos of the contents of the house would be displayed on-line prior to the sale. Everything happened as planned and on schedule. I am still amazed that you were able to take a very disheveled home (due to a long term illness) and organize everything so neatly. The on-line photos were great and after my initial visit with you, I never had to go back to the house. You and your staff took care of everything and the icing on the cake was today I received a complete list of what was sold and the price of each item. I also received a check. My gratitude is boundless. You relieved me of a hugh burden at a very stressful time. You provide a wonderful service." her things was overwhelming. I could not have done it without Mike and Sally and their team. I would highly recommend them to anyone – and already have to many friends and family!" Mike and Sally personally handle every aspect of your estate sale, and are always on the premises for each and every sale. Aversa Estate Sales also utilize their wonderful staff, including cashiers, front door security, "Case and Small Item" attendants, room attendants, and personnel to assist with the moving of furniture & other large items.